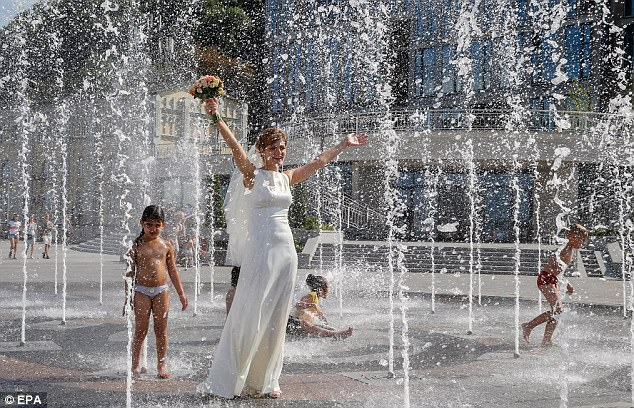 Parts of south and eastern Europe, including Italy, Spain and Croatia, are facing an extreme heatwave which has some areas crossing 40 degree C, prompting authorities in many countries to issue warnings to their citizens to take precautions. Authorities in countries including Italy, Switzerland, Hungary, Poland, Romania, Bosnia, Croatia and Serbia are on red alert. At least two people, one from Romania and the other from Poland, are reported to have died of the extreme temperatures while Italy reported that its hospitalization rate was 15% above normal, with hordes of people admitted for sun burn and other heat related conditions. Even the UK government has taken out an advisory to warn British travelers of the situation as most of these areas are becoming quite the favorite destinations for travelers. If you like my work, please up-vote and read more at @norbu. (yawn)..been 107 here in texas...we call it summer..